August was a kind month. She offered me 38,000 words on my new novel, which looks to be heading towards actual novel length. Over the past few years I seem to have stalled at novella length (and been happy with that) but it's good to get back into something longer. For someone who hasn't written much over the past few years, the words have been flying. Angela Slatter interviewed me over at her blog. Angela is such a generous writer and incredibly talented - but then you all knew that. The Bureau of Them is a book about mourning and coming to terms with loss, it will tug at your emotional core, without ever straying into schmaltzy territory. A modern ghost story that continues the great tradition of well written spooky stories that this country has such a great history of doing well. Laura Mauro also reviewed it over at her blog. ...a vivid nightmare of a tale in which the world of the living and the world of the dead begin to bleed at the edges, merging into one but only for those who seek out the blurred lines. Many thanks to the Ginger Nuts crew and to Laura. 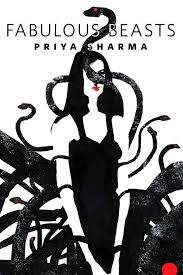 Fabulous Beasts by Priya Sharma. A wonderful novelette inhabited by human monsters and snakes. Blow the Moon Out by E. Catherine Tobler. A beautiful weaving of childhood, of growing up and of circuses. As tasty as lemon cake. Over at his blog, my Bestwick has been interviewing fellow writers including Laura Mauro, Conrad Williams, Alison Littlewood, Jonathan Green, Jonathan Oliver and others. Glad things are going well, Cate. Nice. Sounds like a good month. Thanks for the reading suggestions too.